Dave Chisholm is a freelance cartoonist who has undertaken work for The Sunday Times since 1989 and he has also worked for The Mail on Sunday and The Daily Telegraph. 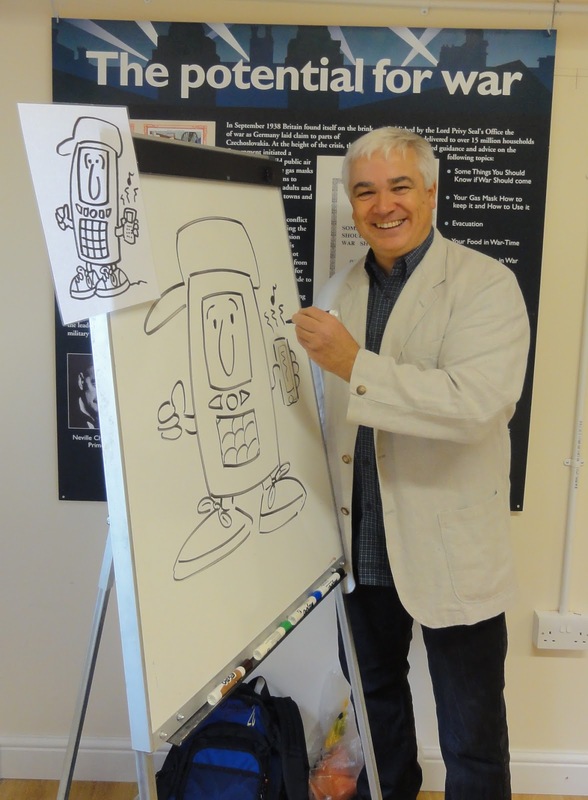 Dave has produced an impressive range of illustrations for books, magazines and advertising campaigns. 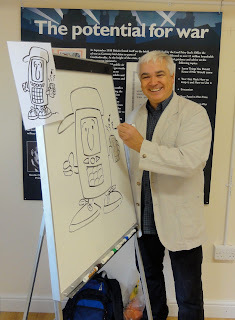 In 2011, Dave teamed-up with Mark Harrison- Timescapes - to deliver The Forgotten Frontline Cartoon Workshop. In 2012, Dave and Mark worked together to create an educational cartoon depicting the defence works and fortifications constructed at Whitstable during the Second World War. The cartoon has become known as 'The Tankerton Tapestry'.